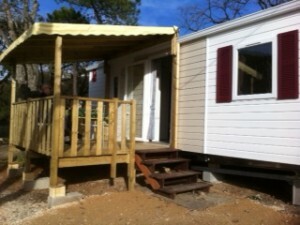 The camping Le Ranch proposes you a range of rentals of mobile homes with all modern conveniences. Most of our mobile homes are equipped with : refrigerator, a micro-wave, a coffee machine, a gas cooktop, crockery and kitchen utensils. 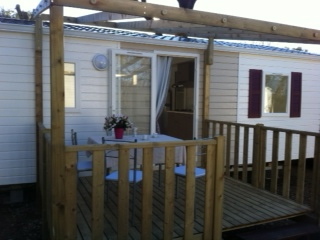 All our mobil homes are equipped with a terrace, garden table and chairs. Be careful, we do not supply bed sheets and bath towels ! Please do not forget them in your luggage. Price per week, arrival at 2 Pm and departure at 10 Am. But, from Saturday to Saturday, in July and August. A 200€ guarantee is required on arrival. The rental fees and the balance due is to be paid on arrival. 7m X 3m. A bedroom with large bed 140 cm. 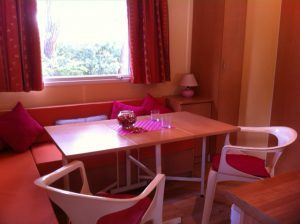 A twin bedroom (2 X 80 cm), dining area with kitchen, shower room with toilets, coffee machine. 6 m x 4 m. One bedroom with large bed 140 cm. 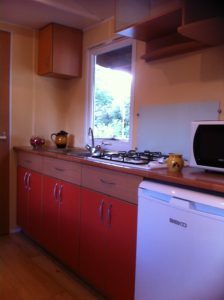 Kitchen dining area with convertible couch (2 X 80 cm beds), shower room with toilets, coffee machine and micro wave oven. 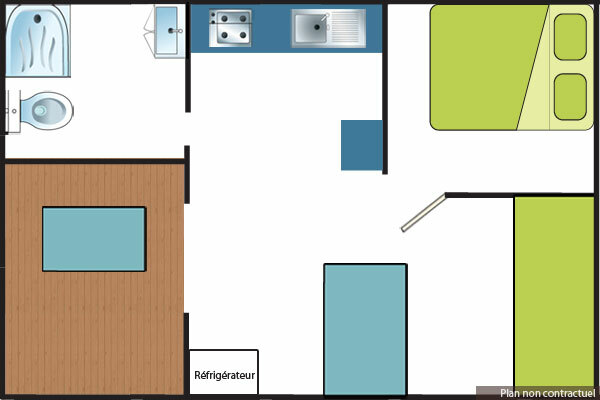 7,30 x 3,50 m. One bedroom with large bed 140 cm. 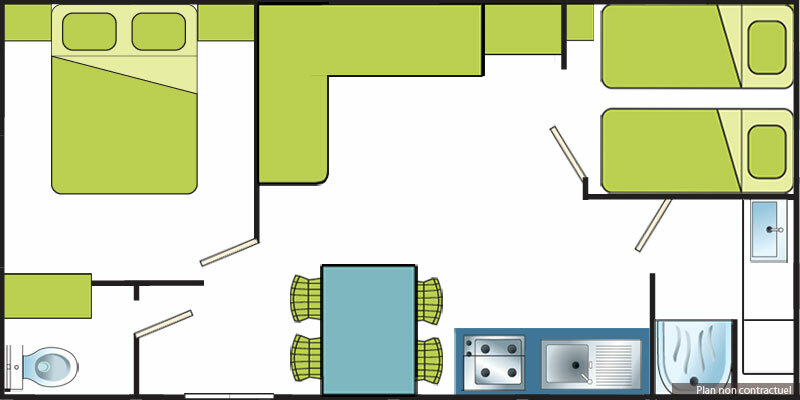 one twin bedded room (2 x 80 cm). Kitchen dining area. Shower room with toilets, micro-waves oven. from 15/04 to 14/05 from 14/05 to 21/05 from 21/05 to 09/07 from 09/07 to 16/07 from 16/07 to 20/08 from 20/08 to 27/08 from 27/08 to 15/08 2 nights minimum except in July,August,F.I.F. 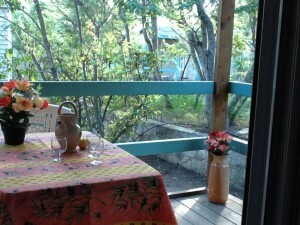 8 m x 4 m. One bedroom with large bed 140cm. One twin bedded room (2 X 80cm). Dining area with convertible couch 140 cm. 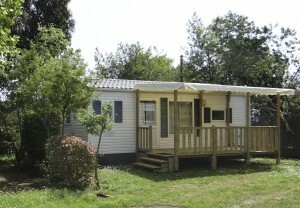 Kitchen, shower room, toilets, micro wave oven. 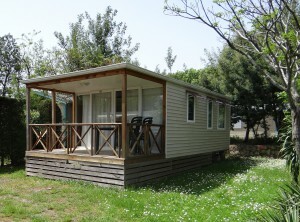 8,4 m x 4 m. 1 bedroom, with 1 twin bed size 140cm, 1 bedroom with 2 single beds 80 cm, 1 kichenette, 1 living-room / dining-room with folding twin bed, 1 shower room, 1 Wc, covered terrace, coffee machine and micro wave oven. 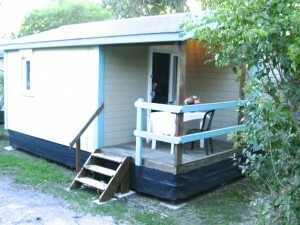 8,4 m x 4 m. 1 bedroom, with 1 twin bed size 140cm, 1 bedroom with 2 single beds 80cm, 1 kichenette, 1 living-room / dining-room with folding twin bed, 1 shower room, 1 Wc, covered terrace, coffee machine and micro wave oven.